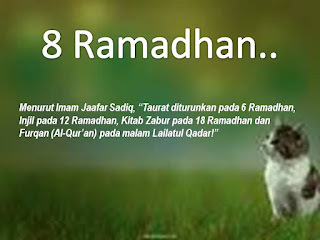 It is 8th Ramadhan today. How was your Ramadhan going so far? Mine was not too bad. I mean, there's alot of avenues to improve further. 1) I was down with a slight fever (typical me) on 2 and 3 Ramadhan, but it's not severe so, Alhamdulillah. 2) I managed to berbuka puasa with husband once, when he came back for a short trip last weekend. I hope he's doing good over there. Since hubby's temporary housemate is away since yesterday, I started my routine of calling him every morning for sahur. The fact that the sunrise time e.g. imsak and prayers time is similar between Malaysia and Vietnam (although the time zone is slightly different, they are late by an hour) makes thing a lot easier. My only wish is for the roaming rate to be cheaper! 3) We had an unplanned family gathering last Saturday at Mama's house because my grandma (hubby's) was admitted to the hospital due to high fever. To date she was still warded, so let's pray for her speedy recovery. 4) I am struggling to get on track for my target of one juzuk one day. I was a bit off track when I was ill over the weekend. Hopefully I can catch up on time. 5) Solat terawih is such an interesting experience, and am looking forward for it as always. I'm glad to see my office surau is now equipped with chairs for the elderly who's unable to stand to perform solat. However, it is quite hard to find the facilities at other mosques/surau and most of the elderly need to bring chairs by themselves. Other than that, well I hope people are more aware to ensure closeness of saf and for those who bring children, kindly ask them to stand at the end of the saf, and not in the middle. 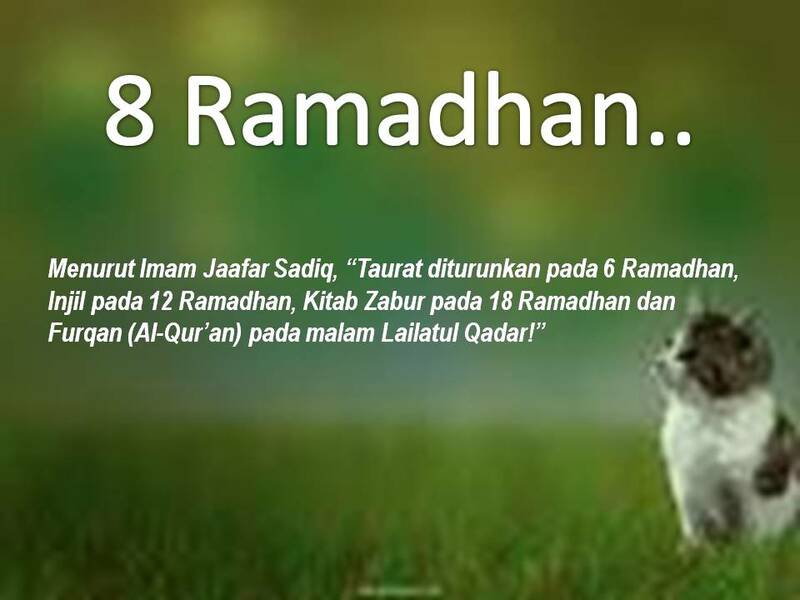 6) Are you fond of Bazar Ramadhan? Well, I am not. I felt that Bazar Ramadhan do not offer the healthiest food variation after all. OK, I'm not criticizing over here, mana ada bazaar Ramadhan yang totally jual makanan sihat. As I always say, makanan sihat selalunya kurang sedap :p My point is, please watch what you buy at bazaar ya..please avoid fried food and air cordial yang dijual di situ ye. And opt for no ice, please J We need to ensure our stomach is not overloaded in preparation for terawih and the other ibadah planned upfront. OK that's all.. have a blissful Ramadhan everyone! Sad to note that only 22 days left for Ramadhan to end..